To open the PDF file just click on the picture of the Walking Map! 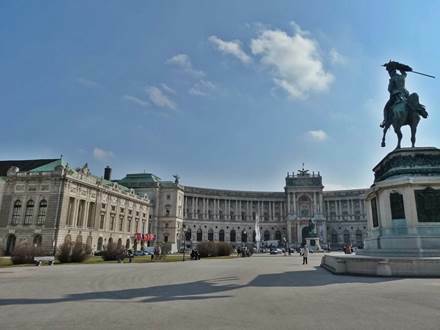 The Town Hall of Vienna is an important place related to the Song Contest. The two Austrian winner of the Song Contest, Udo Jürgens and Conchita Wurst, received here the award Goldener Rathausmann from the City of Vienna. The Rathausplatz in front of the town hall is also the location for the "Eurovision Village" where some of the participants performed live in May 2015. Because Udo Jürgens won the Song Contest 1966 in Luxemburg with the song "Merci, Chérie" already in 1967 one Song Contest was held in Austria. At that time the large banquet room at the Hofburg with 1,000 square meters was huge enough for the event. Today, you need other dimensions. The Stadthalle, where the song contest took place in the year 2015, offers about 10 times of that former area in the biggest hall. 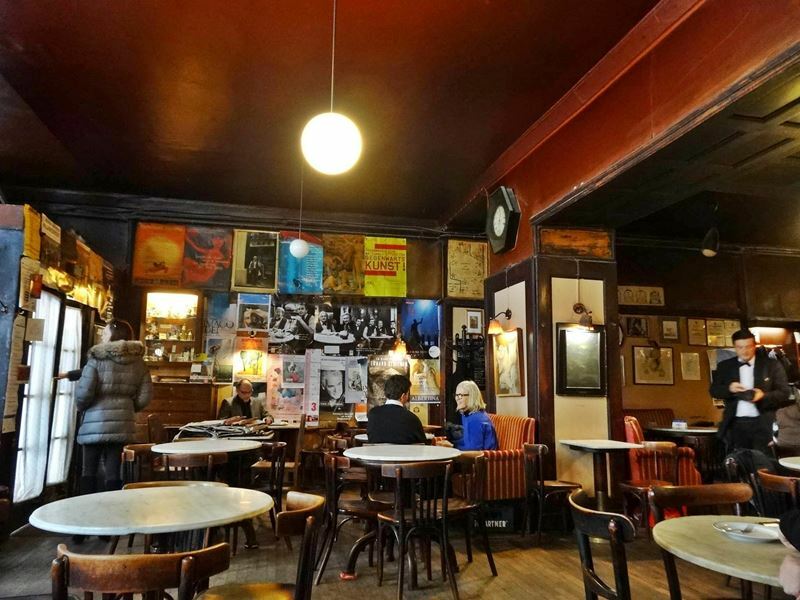 The Cafe Hawelka is an iconic coffee house in the town center. The cafe is located in the narrow Dorotheergasse and is a popular meeting point for Viennese intellectuals. Among the popular guests of the past you can also find Udo Jürgens and Andre Heller. The lyrics for the Austrian Song Contest contribution in 1979 was composed by Andre Heller. 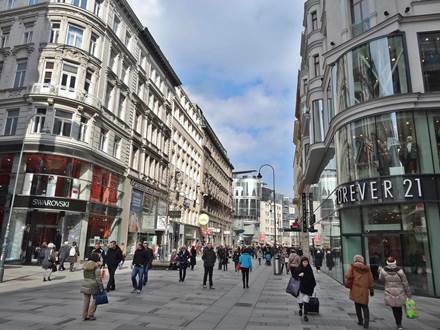 The Kärntner Straße is a popular shopping street for the Viennese and the visitors. Conchita Wurst likes to stroll along this pedestrian zone and recommends it as a shopping tip. The restaurant Motto am Fluss is located directly at the Donaukanal. 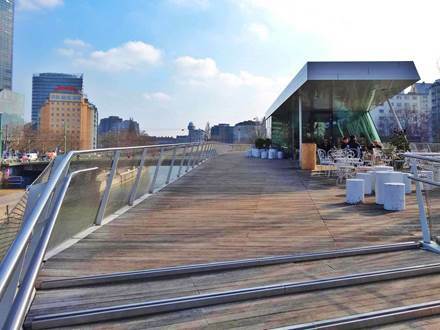 This special place is also a tip from Conchita Wurst. She praises the excellent kitchen as well as the cool location. The Praterstraße is mainly a 4-lane street with wide sidewalks. This street was also part of the route from the bathrobe parade which was held to honor Udo Jürgens on the 30th September 2014. Madame Tussauds organized this event on the occasion of the 80th birthday of Udo Jürgens. The white bathrobe was a hallmark of the singer, who has sung most of the time his concert encores in a bathrobe. At Madame Tussauds* in Vienna you can find among numerous famous Austrians in wax also our Song Contest stars. 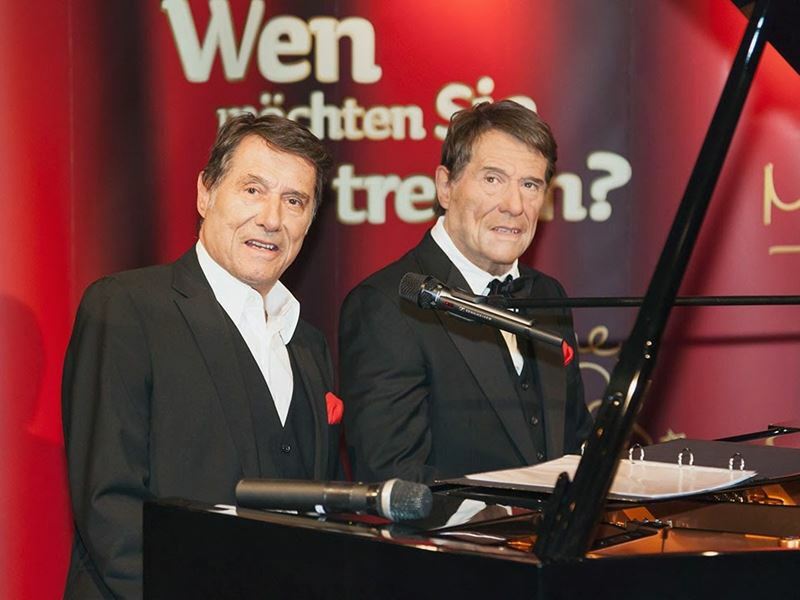 Since 2013, the wax figure of Udo Jürgens belongs to the repertoire. Since May 2015 Conchita Wurst is also presented eternalized in wax. 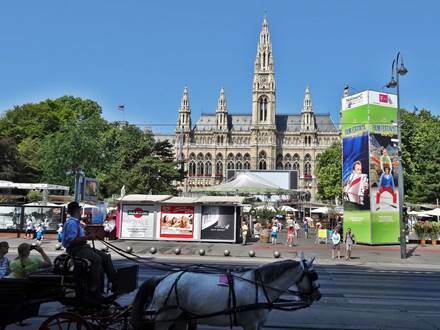 The route starts at the Rathausplatz in front of the town hall. The easiest way of arrival is by Metro. 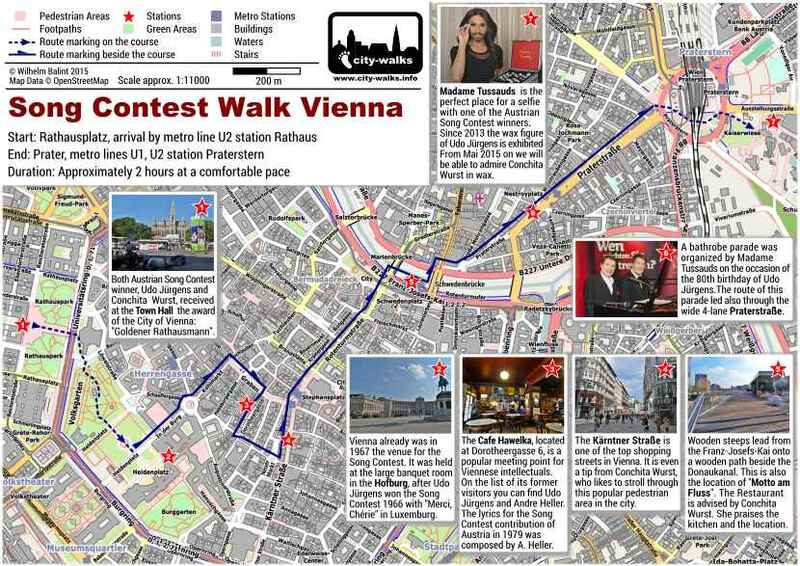 Take the metro line U2 to the station Rathaus. The exit of the station is directly at the back of the town hall. The route runs from the Rathausplatz across the Ring to the Volksgarten. 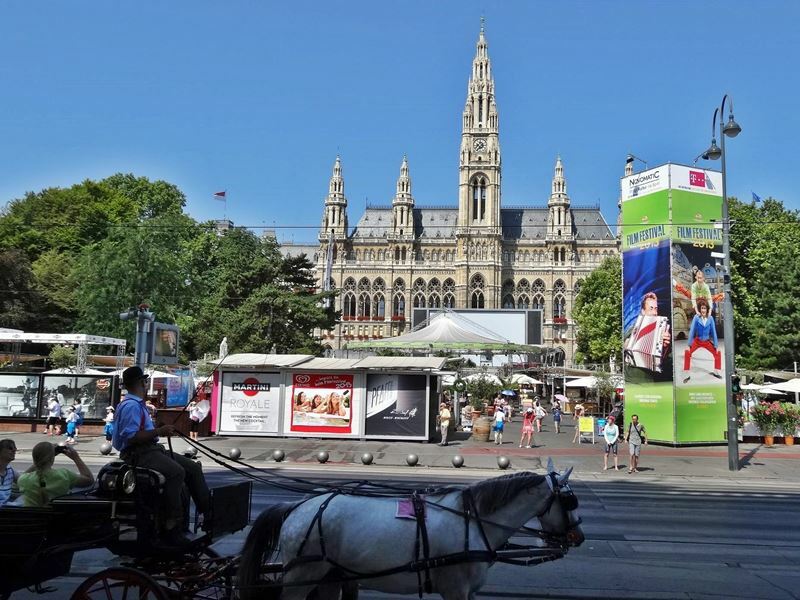 From there you get to the Heldenplatz and over the Kohlmarkt you reach the Graben. Afterwards turn right onto the narrow Dorotheergasse and walk through the Neuen Markt to the Kärntner Straße. By crossing the Stephansplatz you reach the Rotenturmstraße and further on the Franz-Josefs-Kai. There are some wooden steps which lead to a wooden pathway beside the Donaukanal, which you leave again at the Schwedenbrücke. After crossing the bridge the path is continuing along the Praterstraße until the Praterstern with the metro stations of the line U1 and U2. Crossing this huge place, you reach the Prater with Madame Tussauds, which is the destination of this walk. The entire walk takes about 2 hours at a comfortable pace.